You may be so excited about the idea of sharing your beloved videos to friends on WhatsApp, however, what if the videos are on a computer? In that case, you need to transfer videos from computer to WhatsApp. In this 2017 tutorial, we are going to talk about tricks of this issue. Because of WhatsApp has become a famous app that provide instant messaging service for smartphone users worldwide, it is able to run in cross-platform such as iOS, Android, Windows Phone, Windows, Mac, etc. Therefore, we divide the top 6 methods about how to share videos from PC/Mac to WhatsApp for iOS/Android and other users into 3 parts. Most of the iOS users may need to send videos from PC/Mac to WhatsApp on iPhone/iPad/iPod touch. You can select among several options for transferring videos from your computer to iOS device. If you use Mac machine, the quickest and simplest Mac-only option is to use AirDrop to wirelessly send photos or videos from Mac to your iDevice. When you send videos to an iOS device via AirDrop, they appear in the device’s “Photos” app. After then, you can share videos to your WhatsApp chats. Every time you sync iOS device with iTunes, the videos as well as other data on your iOS device update to match the albums on your computer. But it is hard and even impossible to transfer some non-Apple supported videos to iPhone with iTunes. Connect your iOS device to iTunes on computer, open iTunes, tap on your iPhone/iPad/iPod, then hit on “Movies” of “Settings”, then sync your target videos to the mobile device. Finally share the videos to WhatsApp friends. There is another option, you are able to use iCloud Photo Library with “iCloud for Windows” or “Photos for macOS” to keep your photos and videos safely stored and up-to-date on all your devices. Make sure that there is enough space in your iCloud. 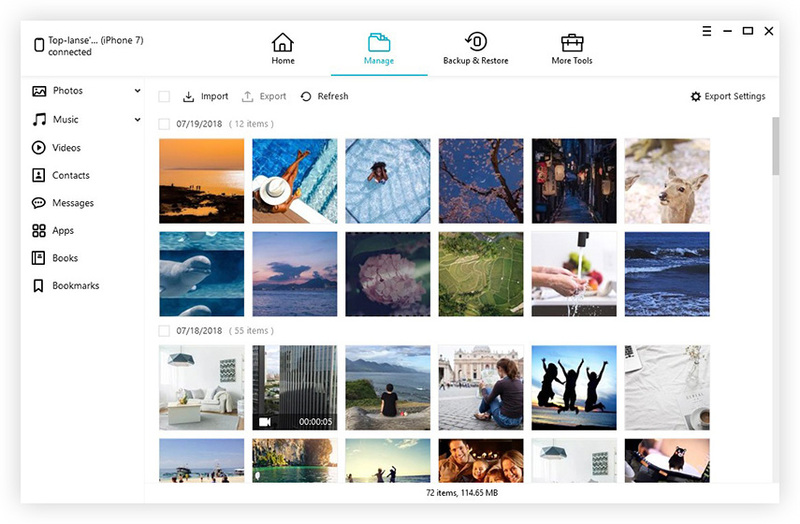 After turning on iCloud Photo Library, all photos and videos are in iCloud and accessible from the “Photos” app on a folder on your PC or Mac. Then you can feel free to share that videos with your WhatsApp contacts. Sometimes there are syncing problems and errors occurring in iTunes. At this time, you need to take advantage of Tenorshare iCareFone, an awesome iTunes alternative, to transfer data from computer to WhatsApp. Not only videos, Tenorshare iCareFone enables you to manage 9 types of files between computer and Apple device, including contacts, notes, calendar, App, bookmarks, music and iBooks, etc. Below are the steps about how to share videos from PC to WhatsApp. Step 1. Download, install and launch this software to your computer. Then connect your iPhone/iPad/iPod device to it via USB cable. Step 2. In the main interface, choose “File Manager” menu and then select “Videos” option. Step 3. Click “Import” button and then choose the right video path on your computer. Select your target videos and then click “Open” button to transfer your videos. Step 4. After that, open it on your Apple device, you will see the imported videos in “Photo” app. 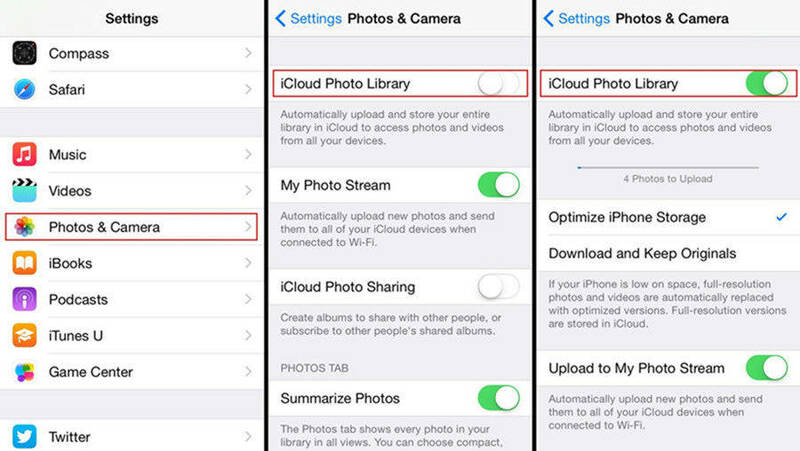 If the videos are in “Videos” app, sync them to iCloud Drive and then download it to “Photo” app. Step 5. Open WhatsApp, tap on “Chats” menu and then search for a friend you would like to share the video, choose the “+” icon and then choose “Photo & Video Library”, choose your video and click the blue-triangle button to send the video finally. Note: If you have not installed WhatsApp app in Apple device, you can share videos from computer to WhatsApp Web/Desktop as well. It is the same as to share WhatsApp videos to computer. Most of the Android users can delivery videos from computer to Android device via USB cable, Bluetooth or photo transfer application. 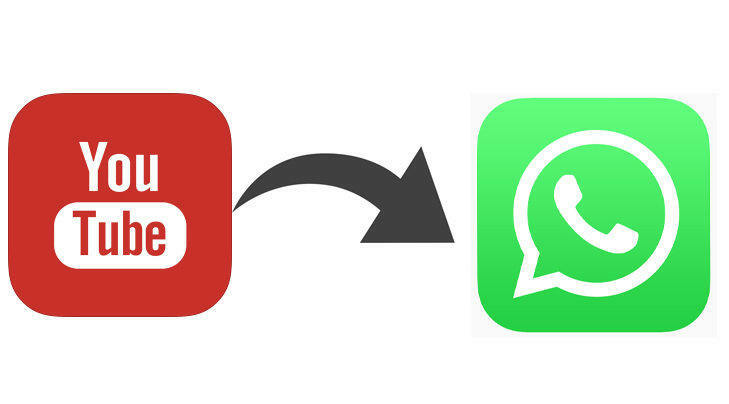 Therefore, you might as well try to transfer videos from PC/Mac to Android device and then send them with your WhatsApp contacts. The last but not least method, is to make use of the Email, Dropbox or Google Drive to transmit videos. The E-mail method is quite easy, just login Email on computer and upload video to it, then login the same Email, download and save the video on the mobile device that has installed WhatsApp. Eventually, delivery the videos to WhatsApp Message. So that’s all about how to move videos from computer to WhatsApp in 2017. If you have figured out any new and different methods to share videos between computer and WhatsApp, welcome to leave a comment with us. Thanks for reading.